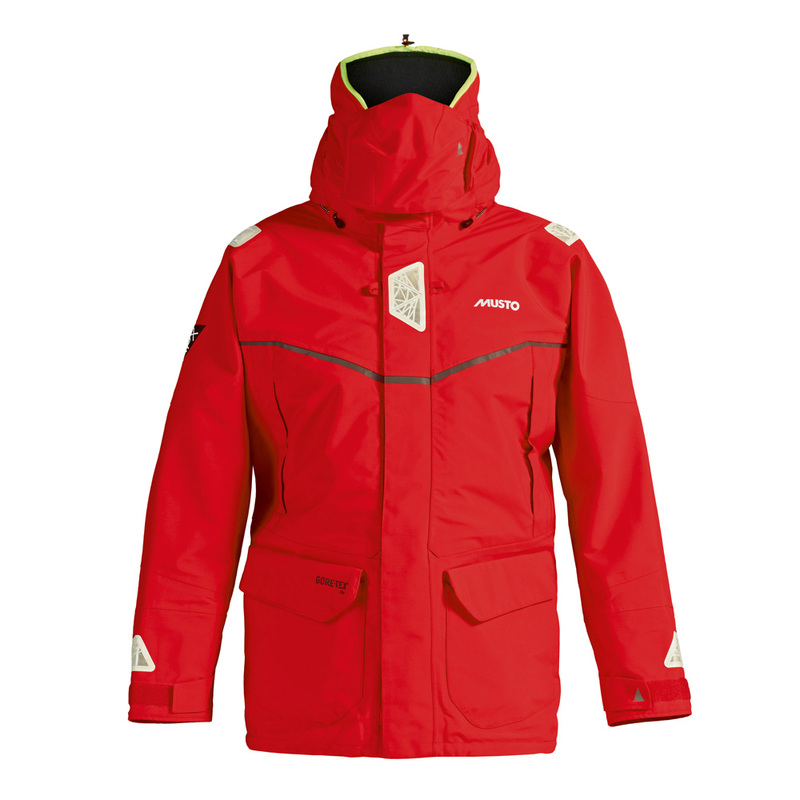 The MPX Offshore Jacket is designed for offshore sailors who spend a considerable amount of time on the water. Updated to feature innovative Photoluminescent Technology, developed during the 2011/12 Volvo Ocean Race, to enhance onboard safety at night. 3-layer GORE-TEX® Pro technology offers superior breathability, durability and waterproofness. Providing the best performance for prolonged periods facing foul weather conditions, tested in the most extreme conditions around the world and endorsed by the best sailors. A fluorescent, 3-way adjustable peaked roll-away GORE-TEX® hood with shaped spume visor, high fleece lined collar and handwarmer pockets on chest and lower front is added for the best protection in the harshest conditions. Widely regarded as the ultimate fabric for outer garments, GORE-TEX® is the most durably waterproof and highly breathable material available. The bicomponent microporus GORE-TEX® membrane is used either as a drop liner between the inner and outer garment layers, as a inter-liner or as the outer shell itself. MUSTO GORE-TEX® garments, like the HPX, MPX and LPX collections, are constructed by a 3-layer bond of a rugged polyester material on the outside, the high performance GORE-TEX® membrane in the middle and a specially developed robust inner backer.